Knowing what hands to call in Euchre can be a rather difficult decision, especially for beginning euchre players. 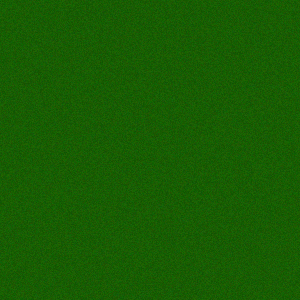 All too often, players pass a biddable hand or calling a hand too thin. 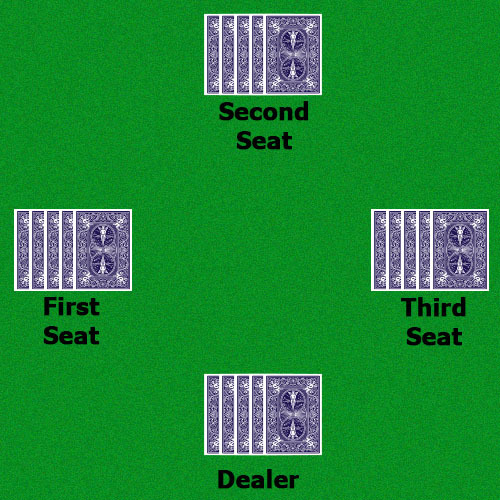 In this tutorial, you will learn The 4 Basic Hands in Euchre. By understanding these four hands, you will be able to name trump with confidence. Each of these hands follows the principle of Euchre’s Basic Strategy, and in conjunction with reading the up-card, you should be able to win a valuable point or two. Whenever you have the Right Bower plus two extra trump cards, it is said you have a Standard Three Trump call. The premise of winning this hand is straightforward. Lead the Right Bower where you clear most of the trump off the table. If your second highest trump card can with the second trick, then play it, otherwise lead a non-trump card. Use your remaining trump cards to ruff any future tricks. The Standard Three Trump call is a low-risk high reward call. The majority of the time you will win a solid point, and possibly two points if your partner holds an Ace. The chances of getting euchred are relatively low. When you hold the Right Bower plus an extra trump card with an Ace kicker, it is sometimes referred to as a basic buck or basic buckeye. Its name is derived from the popular euchre playing state of Ohio, “The Buckeye State”, and from the fact that you usually earn one point or one buck. The idea behind this hand is to win the first trick by leading the Right Bower. Since the Right Bower will clear most of the trump from the table, the Ace can win easily win the second trick. The third trick can be won by your partner, or by trumping in on the fourth or fifth trick. The basic buck comes with some risk of being euchred, but it will usually earn you and your partner a point. When you call three trump cards along with an Ace kicker, without holding the right bower, it is known as a Boiler Maker. For a beginner, this hand seems extremely risky, and regardless if you won or lost, it would more than likely make your partner’s blood boil in anger. In actuality, when this hand is played correctly, it can be a solid call for you and your partner. It is important to lead trump first in order to fish out the bowers, likely losing the first trick. Then your opponent will either lead into your non-trump Ace, or you will be able to ruff the next trick. Depending on how the hand unfolds, you should be able to win at least two more tricks with your remaining cards. The Boiler Maker hand is an aggressive hand to call, but with some understanding, you should be able to win more points than you lose. Calling a hand with two minor trump cards and two non-trump Aces (Pocket Rockets) is the quintessential high-risk high-reward call. This may seem scary for many euchre players, but there is logic in this hand. Again with any hand you call, you should lead trump and clear the majority of the trump off the table. This will give “strength” to the Aces. Depending on how the hand unfolds, you should be able to win 3 tricks with your remaining trump card, two Aces, and your partner. Pocket Rockets is a risky hand, and you will be euchred a fair amount. On the other hand, if you can read the up card, you will increase the likelihood that your partner will be holding the right bower. Giving a number of hands where you and your partner will win two points. Euchre players usual describe their style of play as either Aggressive or Conservative. Aggressive Players are risk takers. They call trump more often, play questionable hands, and rely on their partner. They may win more hands, but in return, they get euchred. Conservative Players will only call trump when they assured to make a point. While Conservative Player may never get euchred, they barely win enough hands to win the game. While it is easy to split playing styles in to a dichotomy, it is more accurate to view these playing styles as a continuum. Many euchre players think Aggressive Play is the key to winning. Other players think that Aggressive Play is too risky, and it an easy way to lose games. Which playing style is better? The correct answer is that it depends on the situation. Both Aggressive and Conservative play can be successful. Both approaches have interesting strategies. The best players will use both styles throughout the game. The best players will quickly recognize and understand the playing style of their partner and opponents. The score is the most common situation on whether a player should play aggressively or conservatively. If you are trailing your opponents by a significant margin, then it is wise to play aggressively. Since you are behind, you must take greater chances to catch up. If you are behind and play conservatively, then it is unlikely you have enough time to make up the lost ground. Conversely, if you are ahead, you should play more conservatively. You should try and capitalize on your opponents risky calls. Knowing when and how to play Aggressively or Conservatively takes experience. 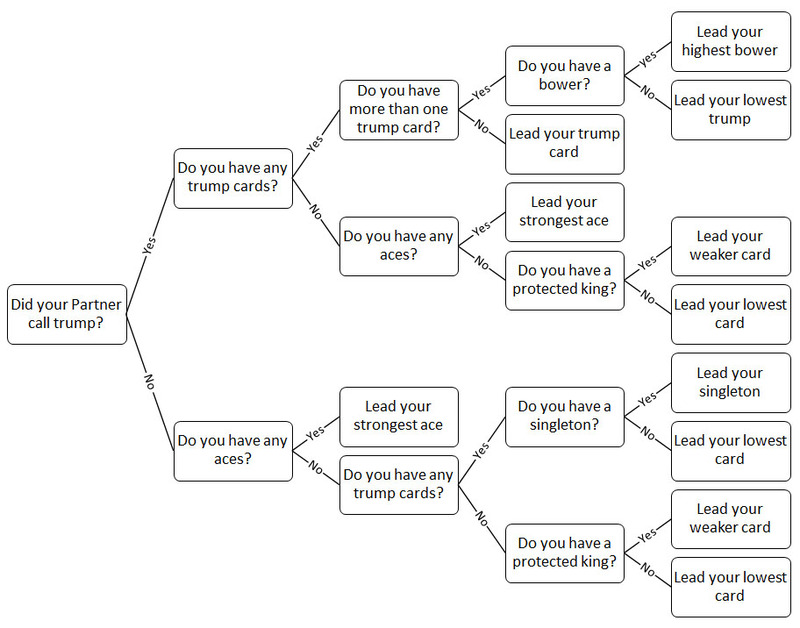 Euchre Strategy Poll – What should you discard? You are the dealer, and you turn the AC up. West and North pass. East orders it up. What should you discard?